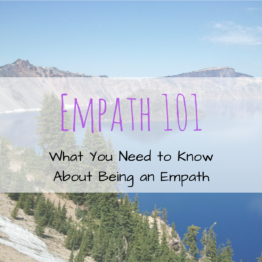 This web site provides educational information on spirituality and how to feel good as an empath, but you’re still 100% responsible for your life and what you do or do not do with this information. This web site is intended to provide educational information on topics related to spirituality. The publisher is not engaged in rendering legal, medical, financial, or other professional services. If expert assistance is required, please seek the services of a qualified and competent professional. In particular, you should regularly consult a doctor in all matters relating to physical or mental health, particularly concerning any symptoms that may require diagnosis or medical attention. We make no representations or warranties concerning any treatment, action, or application of medication or preparation by any person following the information offered or provided within or through the Sites. We will not be liable for any direct, indirect, consequential, special, exemplary or other damages that may result, including but not limited to economic loss, injury, illness or death.